Health care, sick care & the new consumerism? Reading NaturalNews.Com today, I saw an article on Doctors speaking out & they echo my sentiment on sick care, health care is more than just pathology. “Two doctors from Beth Israel Deaconess Medical Center, Harvard’s teaching hospital, have taken an unusual step for the medical profession. These courageous physicians are speaking out about today’s healthcare system which emphasizes money over individualized patient care. ❡ As long as Hospital$ own everyone in them & are owned by insurance companies I see a conflict of interest . 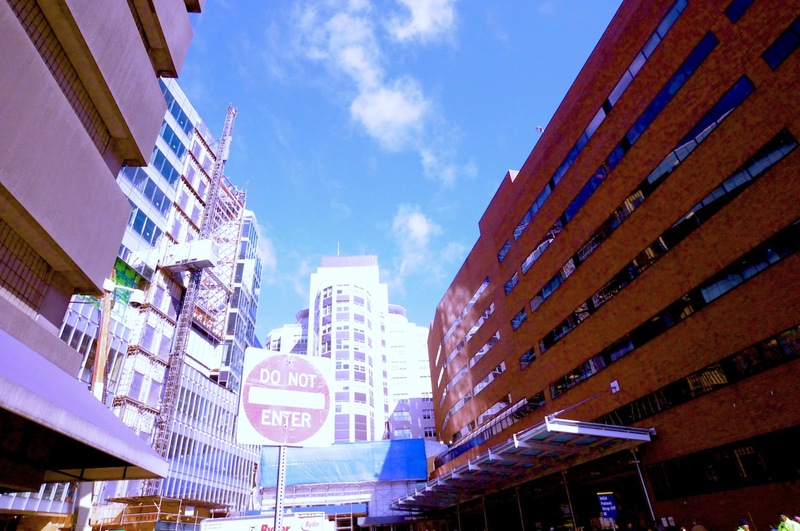 Who runs and owns Mass General Hospital… an insurance company. ❡Taking Mom in for surgery: I paused and shot this; impressed by the sky and colours, moments later I was told by a policeman that I had to put my camera away or face being arrested and having my camera confiscated, What the hell t kind of bloody world is this when we call Hospitals open to the public, PRIVATE property. I made sure not to shoot people as to protect their privacy, I had every right to be on the premises. In my opinion a building which appears on a public street, and especially in sky space is open to my lens. Do these structure show on google maps on street view? edited: Dec.1 2012 for typos.